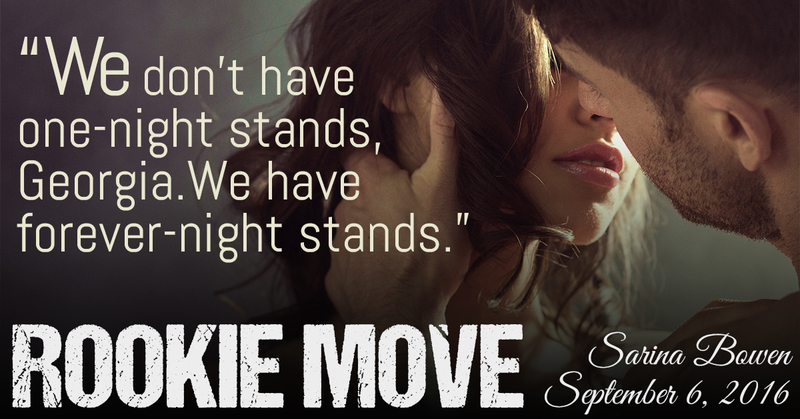 I am a BIG fan of Sarina Bowen's Ivy Years series! In fact, I listed the first book in the series, The Year We Fell Down, in a favorites post a few months ago. In the last book in that series, The Fifteenth Minute, we were introduced to Leo Trevi and given a bit of the back story about his high school girlfriend, Georgia. 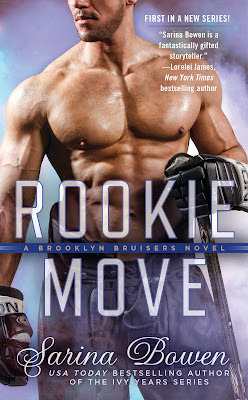 I am so glad we get to read more about them in Rookie Move: A Brooklyn Bruisers Novel! Sarina is also hosting a giveaway for a signed paperback (reader's choice) and the right to name a teammate in Brooklyn Bruisers #2.